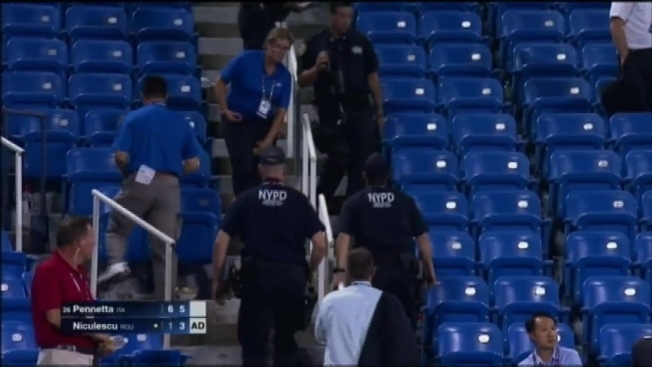 A New York City teacher was arrested after a drone he was operating crashed into an empty section of seats during a U.S. Open match in Louis Armstrong Stadium on Thursday night, police said. Daniel Verley, 26, was charged with reckless operation of a drone and operating a drone in an NYC a park outside the prescribed area, the NYPD said. He has been a science teacher at Academy of Innovative Technology in Brooklyn since 2013, authorities said. U.S. Tennis Association spokesman Chris Widmaier said no one was injured by the drone crash and that the NYPD was "conducting an ongoing investigation." The black device flew diagonally through the arena during the next-to-last game of a second-round match that 26th-seeded Flavia Pennetta of Italy won 6-1, 6-4 over Monica Niculescu of Romania. Pennetta said she heard the drone fly by and was not sure what it was. Her initial reaction, she said afterward, was that it might have been a bomb. "A little bit scary, I have to say," Pennetta said. "With everything going on in the world ... I thought, 'OK, it's over.' That's how things happen," she said. It broke into pieces upon landing, and the match was only briefly interrupted between points while police and fire department personnel went to look at it. "The chair umpire just wanted to wait for an OK from the police to be able to continue," Pennetta said, "even if, truthfully, I don't think even they knew what it was." "All of these (security measures), and then it comes in from above," Pennetta said. The episode happened a little before 8:30 p.m., during the day's last match in Louis Armstrong Stadium, which has a seating capacity of about 10,000. Pennetta and Niculescu originally were scheduled to play on much smaller Court 17, but their match was moved because four earlier matches in Armstrong wrapped up early. "If there had been spectators, it would have hit them and done a lot of damage," Pennetta said. It wasn't immediately clear if Verley had an attorney. 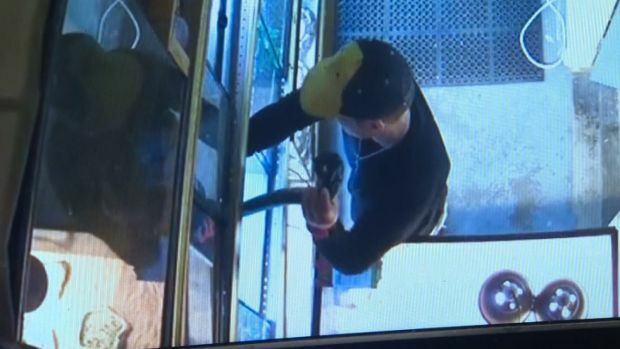 Any disciplinary action will be taken based on the results of the criminal case, authorities said. A filmmaker was arrested around the same time last year when he allegedly flew a drone outside the National Tennis Center during the US Open. Police said the filmmaker told arresting officers he thought he was flying the drone in an appropriate park space. AP Photographer Kathy Willens contributed to this report.